Slashes Your Ironing Time – Contains quality padding already sewn in that holds and reflects the heat so you can iron both sides at once! Free up time for the fun things in life. Moulds to the shape of your board and are Guaranteed not to slip.Size Guarantee – Fits Both Standard and Large Boards in the range 120cm-138cm long/ 38-45cm wide. 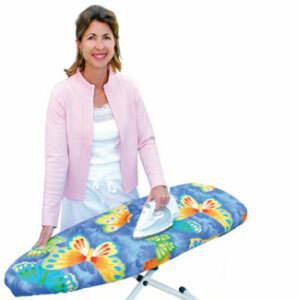 The Rolls Royce of Ironing Board Covers – over 100,000 covers sold!! View the full colour range here. 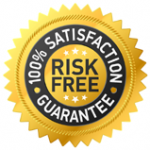 If in the unlikely event you are unhappy with the quality and workmanship of your EZY IRON ironing board cover, I guarantee to completely refund your money immediately! That shows how confident we are in our amazing ironing board covers. So if for any reason you find something wrong with the quality or workmanship of your ironing board cover all we ask is that you return it and you’ll receive your money back paid in full immediately! Thanks Cameron, your ironing covers are a great product…my cover lasted me for years and I’ve only just replaced it. It definitely makes ironing a pleasure! I’ve now found an ironing board cover that doesn’t slip. Without a doubt this is the best ironing board cover I’ve ever used. Thanks a million. love the cover , it is easy to put on and helps with the ironing time also is nice and thick. I love it, the iron just glides. It’s awesome. Simply Buy any Cover, then enter your Email to register and go into the draw to win your money back! One refund given away every week!! You could be next!